This will be the final paired patio home built in Rosewood ll at Hyde Park. 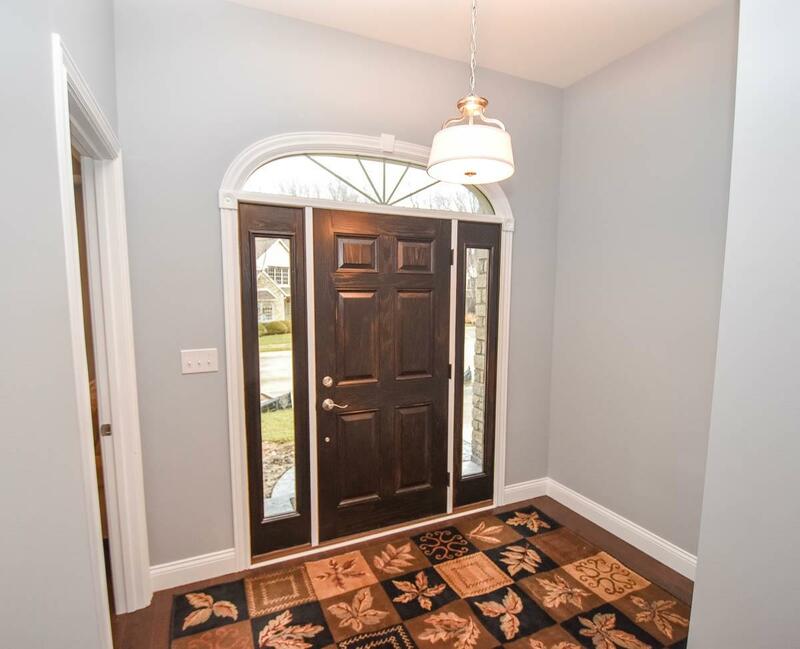 This elegant new construction, built by respected local builder Phil Tapp, features an open floor plan with high vaulted ceiling and gas fireplace in main living area. 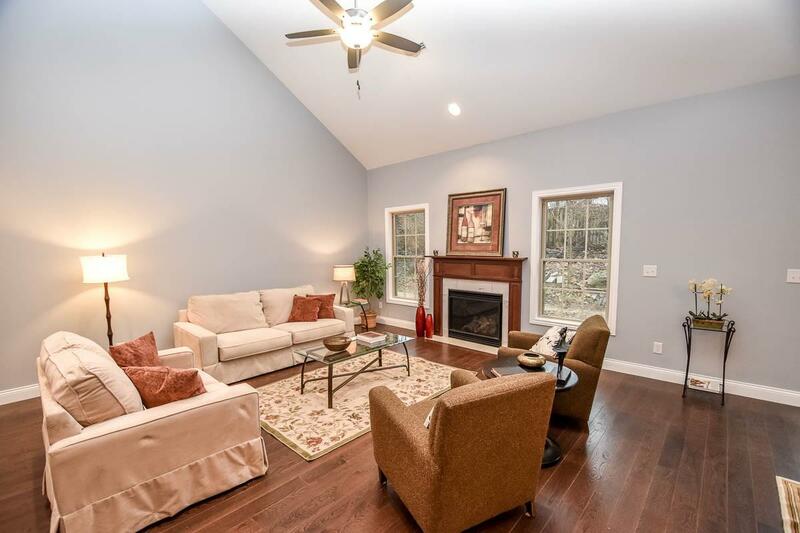 Desirable 10 ft ceilings throughout the rest of the main level. The beautiful, dark hardwood floors are set off by the grey walls and white trim. The master bedroom boasts an artistic tray ceiling, walk-in closet, en-suite bath w/2 vanities, custom tiled shower and separate commode room. There is a 2nd main level BR/study with handsome tray ceiling and an en-suite bath. The cheerful, first rate kitchen has custom, Amish white cabinetry, quartz counter tops, Kitchen Aid stainless steel appliances, breakfast bar and breakfast room with built in integrated pantry. 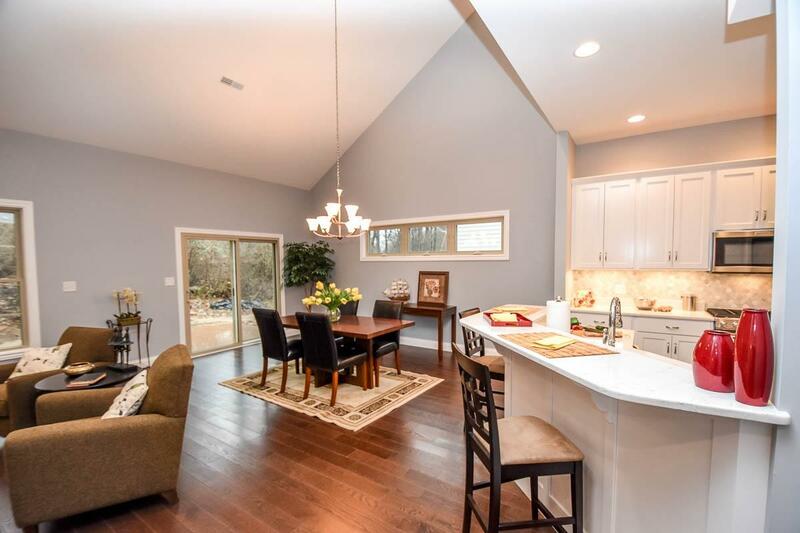 Kitchen opens to great room, which opens to patio/deck area creating a perfect flow for entertaining. There is a large welcoming foyer. The laundry room has ample storage, with plenty of cabinets, sink and counter area. There are 2 good sized bedrooms upstairs, with a full bath, study/game room and a flex loft area overlooking the great room. 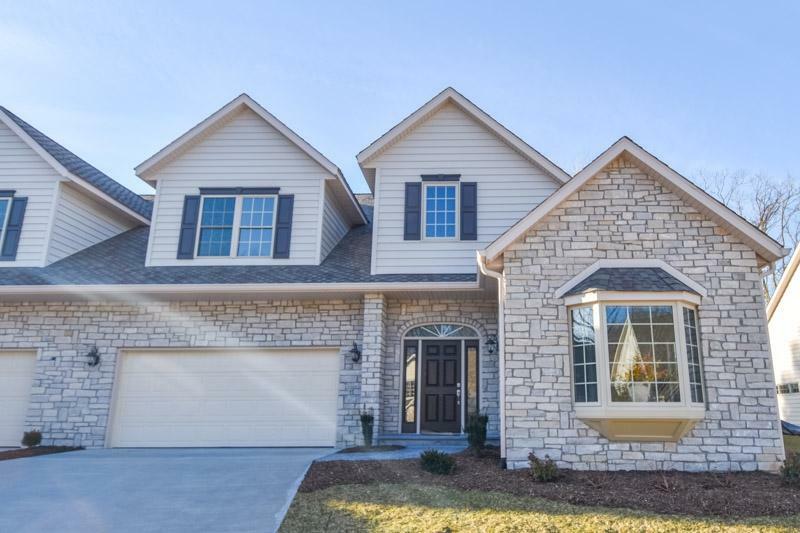 This choice, maintenance free, neighborhood is perfectly situated on Bloomington's east side, convenient to everything! Call today to schedule your appointment for a private showing. Listing courtesy of Ron Plecher of Re/Max Realty Professionals.